One of Uganda's main opposition candidates has been briefly detained by police ahead of presidential elections on Thursday. Kizza Besigye has been arrested on many occasions in the past but this is the first time during this campaign. 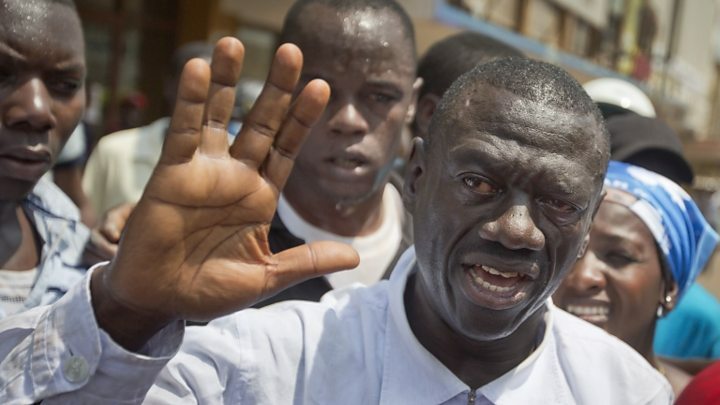 Mr Besigye has in the past lost three disputed elections against long-time leader Yoweri Museveni. Mr Museveni, 71, has been in power for 30 years and is running for a fifth term in office. The BBC's Catherine Byaruhanga in the capital Kampala reports that Mr Besigye was released by police, who told her that he was being taken to his next rally. 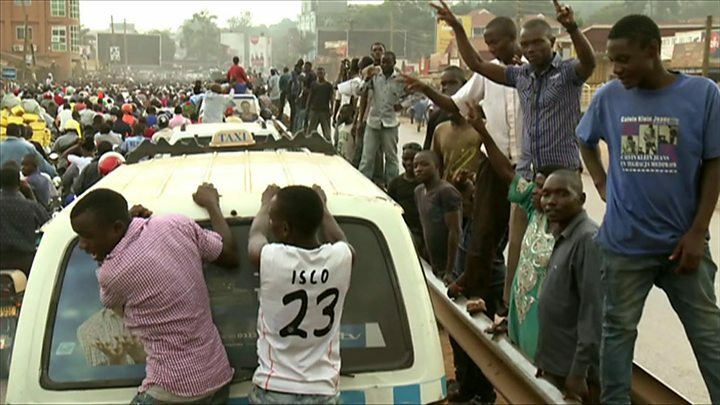 Thousands of supporters then followed his convoy into Kampala and many more lined the streets, she says. Our correspondent says that shortly before he was detained, his car was driving along one of the main highways in the capital, escorted by hundreds of supporters. Teargas was fired to disperse the crowd. The police told our correspondent that Mr Besigye was not under arrest but had been held because he had disobeyed orders not to disrupt city traffic. Mr Besigye used to be President Museveni's personal doctor, but he went on to become his political opponent and has referred to him as a "dictator".